It's time for another edition of The Scoop...the first one for August of this year! Yikes! I can't believe summer is almost over...can you? I've been spending lots of time with the grandchildren before school starts back...squeezing in as much time as possible. And I am also enjoying reading about your wonderful projects and thrifting finds and checking out the recipes that you have been sharing! I can't wait to see what you've got this week...so let's get this party started! Our guest hosts will join us again in the fall. Hi! This is Debbie from Confessions of a Plate Addict and I will be your host this week! I am so impressed by everything that all of you are sharing! There are some very talented people out there in the blog world! 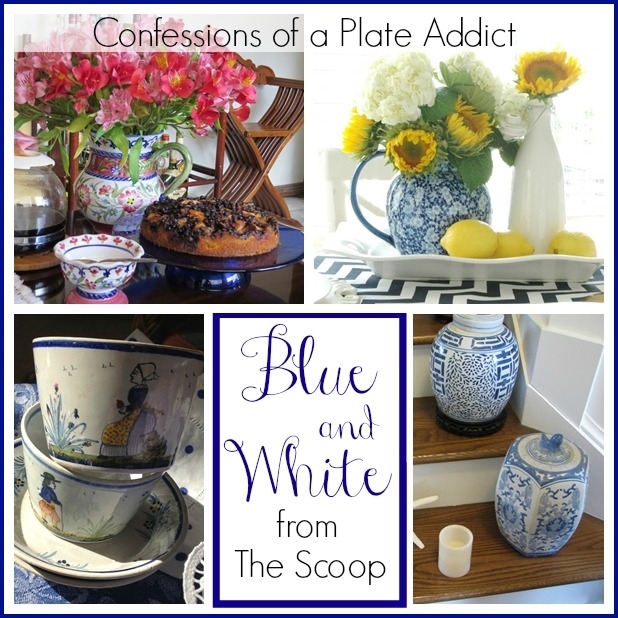 And last week I was thrilled to see lots of links starring my favorite colors...blue and white! Be sure to check them out here! I am also featuring some of your links on my new Pinterest board Shared at The Scoop Linky Party and I have shared them on my blog's Facebook page. Sooo...please know that linking up to The Scoop will not only get you more exposure across multiple blogs, it will also get you noticed on Pinterest and Facebook as well! What a great deal, huh? So thanks for joining us! And now...on to the features! The Thrifty Rebel shared her amazing DIY silver goblet wind chimes...beautiful! And what a wonderful sound they must make! 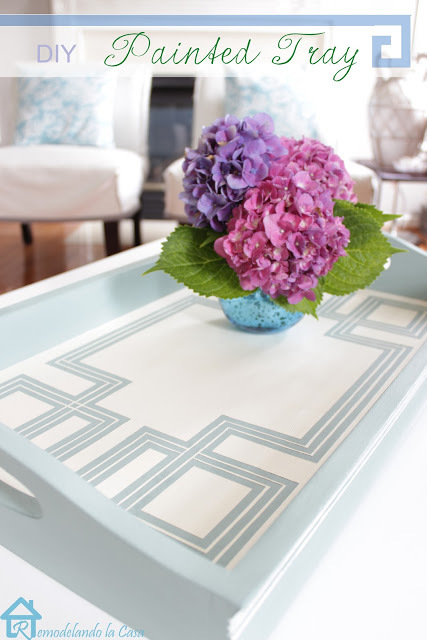 I am amazed at the intricacy of the paint job done by Remodelando la Casa on this Greek key design tray! Such a classic look! 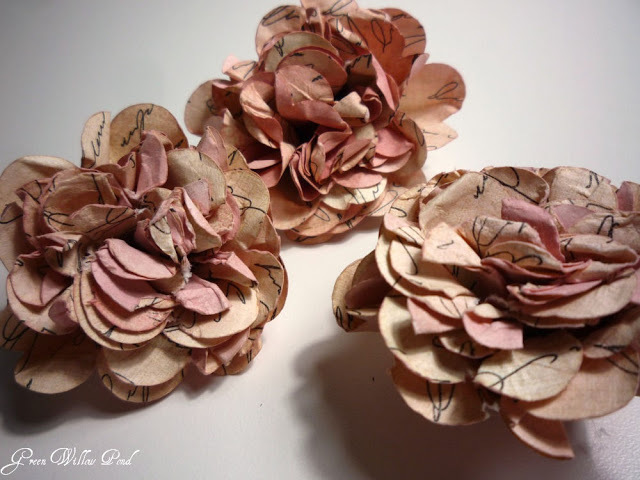 Green Willow Pond showed us how to make these perfect little paper flowers! 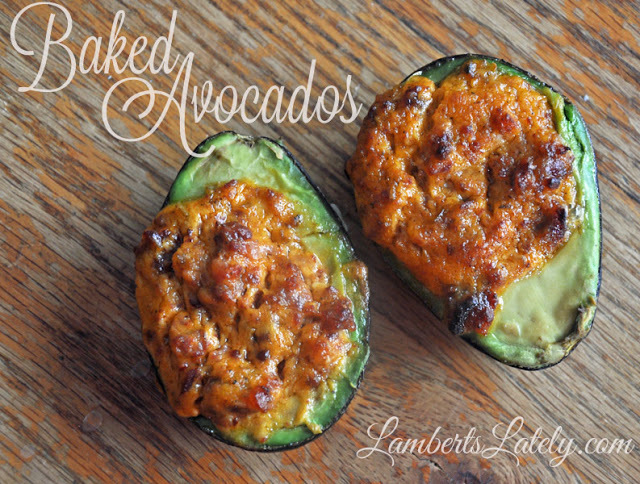 This sounds unusual but heavenly...baked avocados from Lamberts Lately! It has two of my favorites ...avocados and bacon...so it has to be good! I am trying this one for sure! 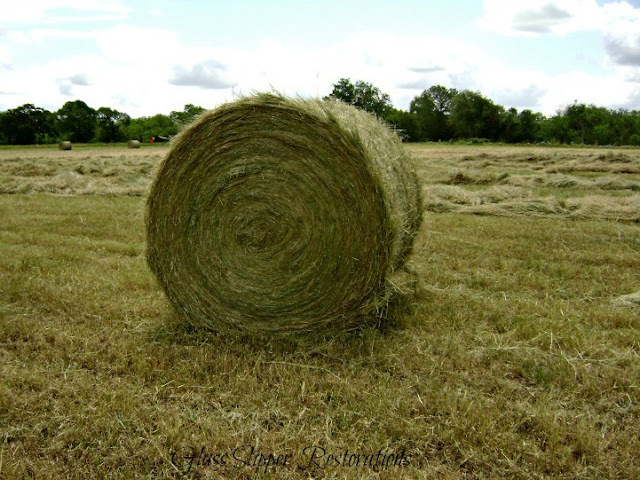 Cindy at Glass slipper Restorations shared the process of baling hay through her beautiful photographs. I was particularly struck by this photo. It almost looks like a painting and reminds me of a modern day version of Claude Monet's haystacks. 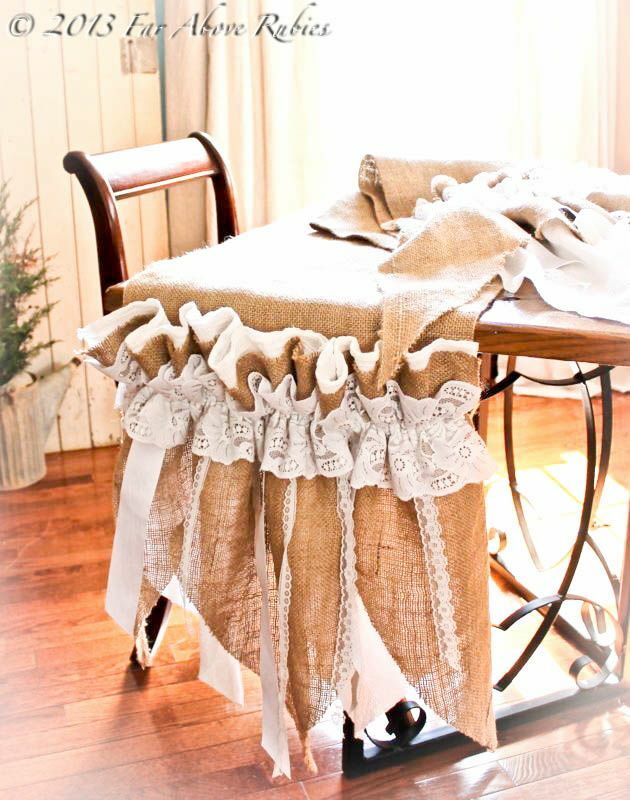 And finally, Far above Rubies shared a detailed tutorial for making this unique burlap and lace table runner...gorgeous! Thank you so much for featuring my cake and dishes made by us, yay, I feel so honored, along side such really fabulous features, too!. I'm now posting how I DIYed the two plates I promised I will share. Thank you for hosting this week too. Have a blessed week. Debbie, you picked some wonderful features for your review, and I love the way you select posts that fit a theme. Wonderful idea. Again, many things for including my Tea Time Blues in your mosaic. I've taken inspiration from Simply Suzanne's blue and white that I will share soon. Thanks for hosting this terrific party. Can you delete mine so I can try again. The pic didn't work at all. Thanks for hosting another great week. I am going to use Fabby's cake plate idea since I broke mine. I brought Texas Cake this week in case you get company. Thanks so much for having the party1 I always enjoy seeing what you choose. Hi Debbie, thanks for hosting this party. I hope you're having a great summer. 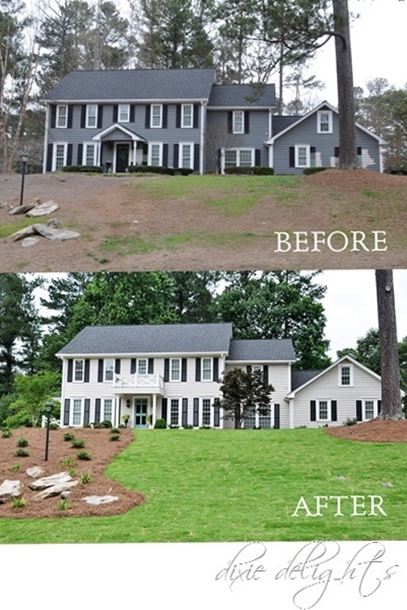 BTW--I loved your house tour! Thank you so much for hosting Debbie! Thank you so much for the feature of my antique chair. I was excited to be selected, as there were so many great linkups as well. Thanks for hosting. I just joined your site and your party. I've been an occasional blogger so I'm way behind with social media and would love to overhaul my blog. Love the people that you featured this week! To get featured, do you have to have the most views or clicks? I guess I would never be featured if that's the case. 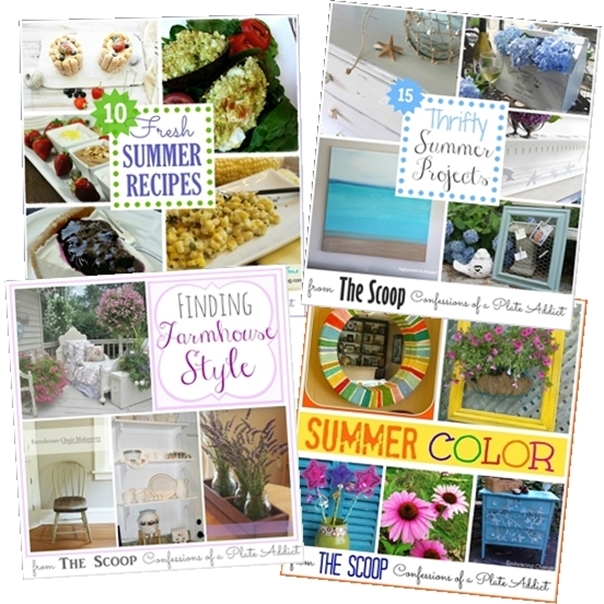 I love the summer collages that you pinned. Just started playing around with collages and really love using them. Thanks for being the host for this weeks party. I've joined lots of parties but they never really generated much traffic. Maybe my content stinks. I'll hang in there and keep trying because I love vintage, crafting, decorating and painting stuff. Practice makes you get better right?